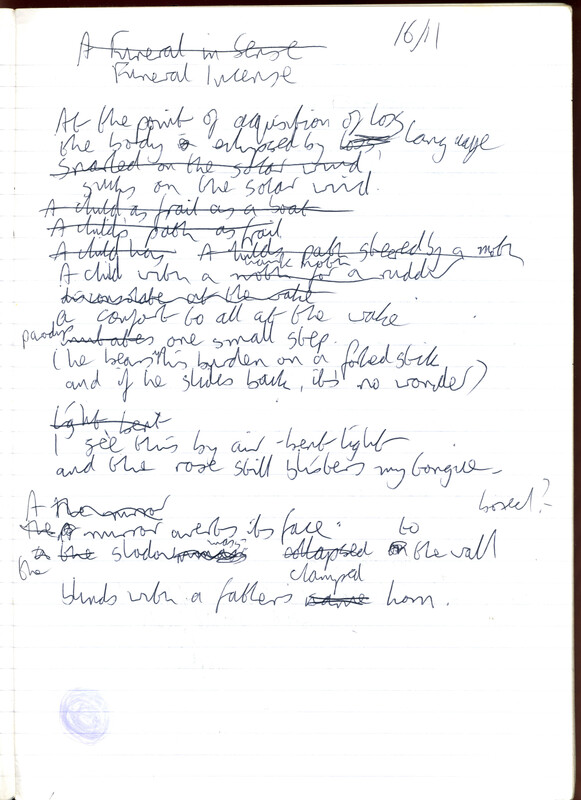 This entry was posted in visuals and tagged drafts, mad handwriting, notebooks on 25/09/2014 by Peter Manson. My ankle tag from Redlands Hospital, Glasgow, May 1969. This entry was posted in visuals and tagged family on 15/09/2014 by Peter Manson. I’ll be reading some Mallarmé translations at this festival, organised by Nicholas Johnson in Hastings. The lunchtime reading also includes Alex Walker, Tymon Dogg and Alex Thomas, who will be performing extracts from Susan de Muth’s translation of Louis Aragon’s “A Wave of Dreams”. Follow this link for the pdf programme of the whole festival, which includes Timothy Neat, Alasdair Roberts, Meg Bateman, Helen Macdonald, Patrick McGuinness, John Healy, Stuart Christie, Tom Pickard, Tom Leonard, John Krish and others. This entry was posted in Uncategorized and tagged readings on 09/09/2014 by Peter Manson. 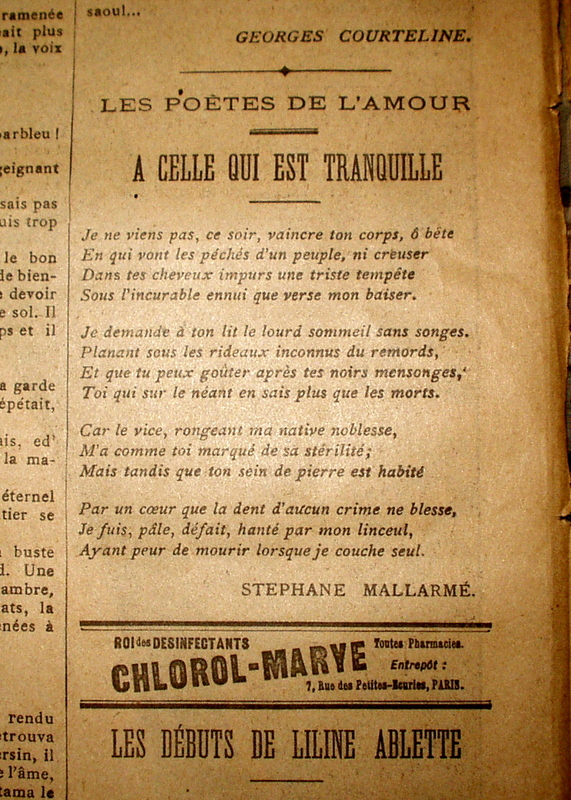 Stéphane Mallarmé’s poem “À celle qui est tranquille”, published over an advert for disinfectant in the Gil Blas illustré of 23 avril 1893. This entry was posted in visuals and tagged mallarmé on 07/09/2014 by Peter Manson.